All parents, whether they are single parents or not, spend a lot of time in the car driving kids around, dropping kids off or waiting for kids to finish their extra curricular activities. Keeping the children occupied can be rather challenging. Children’s audio books are a great way to keep the children busy and entertained while driving to school or going or vacation. Books play an integral part in the development of a child and children’s audio books are a great way for children to get into the world of stories and reading. Children’s audio books allow kids to hear correct pronunciation and hear how a reader responds to punctuation. Audio books can also be used to introduce children to different genres they might not have otherwise considered. Most importantly, audio books teach children to listen. It enhances their listening skills and help kids to concentrate and not get so easily distracted. There are hundreds of thousands of audio books available for children and deciding where to start can be rather overwhelming. Below is a list of the top 5 children’s audio books available. 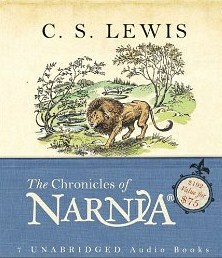 The top spot is bagged by the entire series of C S Lewis’ The Chronicles Of Narnia. With over 100 million copies sold, these seven page-turning books will introduce any child to a world of fantasy, magic, mystery, and intrigue. C S Lewis, arguably one of the best writers of the twentieth century, is adept at teaching real life lessons to children by using fantasy-filled story lines, compelling characters and multi – leveled symbolism guaranteed to stimulate any child’s imagination. 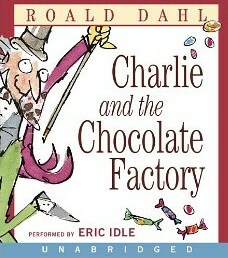 No child can ever get enough of Roald Dahl’s Charlie and the Chocolate Factory, nor of his oddball fantasies. It is a book crammed with magic, mad fantasy, childhood justice and revenge and filled with as much candy as you can eat! This children’s audio book definitely deserves a prominent place in every child’s library. A Series of Unfortunate Events by Lemony Snicket on the contrary turned out as good fortune for its publisher and readers alike. With more than 60 million copies sold, the thirteen book series is a definite when choosing which children’s audio books to add to your growing collection. Like some blockbuster movies that found a niche as children’s audio books, this series has a way of giving its child readers a glimpse of reality and little triumphs of good over evil. A Series of Unfortunate Events follows the lives of three orphaned children after losing their parents to a house fire. They are then placed in the custody of their distant cousin, Count Olaf, who openly plots to embezzle their inheritance. After the three children are removed from Count Olaf’s care, Olaf begins to hunt the children down bringing about the series of unfortunate events involving a multitude of characters. 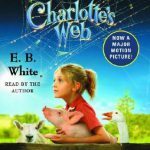 It is hard to imagine that Charlotte’s Web by E.B White was written in 1952 and is still as popular as ever. The story revolves around a pig, Wilbur, who is saved from the slaughterhouse by a very intelligent spider called Charlotte. This children’s audio book is a masterful blend of humor, satire and life and death drama, but most of all, it is a book about friendship. This children’s audio book is read by the author himself, who does a great job of rendering the dialogue of the animals – especially the gander. JRR Tolkien’s The Lord of the Rings is one of the greatest trilogies ever written, and it immortalized the name of its creator. It consists of three parts: The Fellowship of the Ring, The Two Towers and The Return of the King. The plot is based on the struggle for the Ring of Power, which was forged by Sauron, the Dark Lord, long long ago. Now that the trilogy has been turned into children’s audio books, there’s no telling when to stop listening to the enthralling tale of friendship, loyalty and battle of good versus evil. 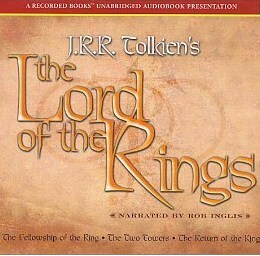 It’s no wonder children can listen to this audio book over and over and never get bored. You can grab a copy of these children’s audio books by doing research online, downloading it onto your Kindle, or asking for a mail delivery. You might even be asked by your kids to drive around more in order to finish the children’s audio books you have!